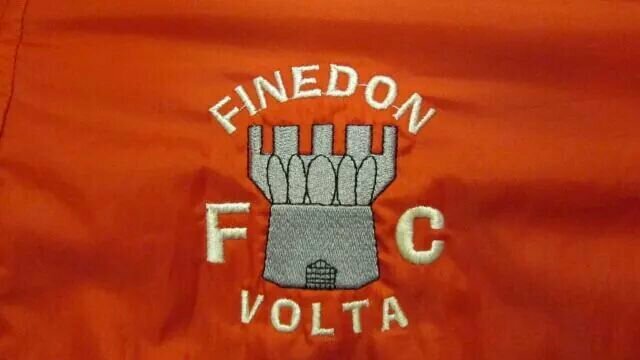 My name is Kevin Tobin and three and half years ago Sid Miller and I took over the Finedon Volta, then U10s. We both had played the game and Sid had managed at an adult level for many years but this was a new adventure for us both. The team had a great bunch of talented boys and a young lady, all enthusiastic and wanting to learn much more about the beautiful game. That is where Sid and I stepped in and set off on our journey. Win, lose or draw all the kids came off the pitch with a massive smile. We lost much more than we won but that wasn’t a problem when you’re teaching such great kids. Through the years we started to learn and understand different parts of the game like stretching before training and matches and controlling the ball. Fitness was important. Last year we moved up to 11 aside for the first time playing home games at the amazing Finedon Rec, what daunting but great opportunity to show off our skills to the public of Finedon. We signed on 17 kids, 7 who have been part of the team from the age of 5. We started with 3 friendly games losing all 3 but if you think that would get our little superstars down then you’ve never been more wrong. We ended the 2017/18 season second (promoted from division 3) winning 10 games and losing just 4, keeping 7 clean sheets along the way. Presentation day at the rec was one fantastic day and celebration for these Finedon Volta legends in the making. Through all the tough times not one kid has ever left our team for another football team which makes Sid and I feel proud and makes every hour spent with these little treasures worth it.